In this time of transition for Afghanistan, we need to remember the progress of Afghan women over the past decade and work together to sustain it. Shoulder-to-Shoulder is about Afghan women’s own experiences – as told in their own words. Share these stories, and your own, on Twitter using #ShoulderToShoulder; you can also take our pledge today to stand with Afghan women’s activists. I am from Jaghori, south of Kabul in rural Central Afghanistan. 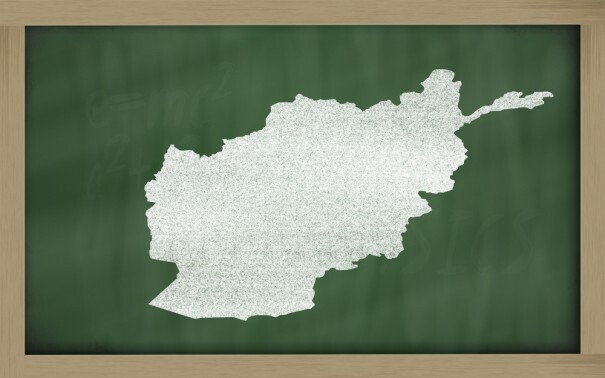 It is home to the Hazaras, an ethnic group of typically liberal Shi’a Muslims who value education. In contrast to other parts of the country, Jaghori has always had very high rates of high school graduates, both girls and boys, who populate most of the country’s few universities and who also study in Pakistan and other neighboring countries. We also have a sizeable library. I was eight when the Taliban seized control of Afghanistan; 13 when the U.S. invaded and deposed them. Our district was lucky not to have experienced war and to have had elders who negotiated with the Taliban shortly after it came to power in order to arrange a peaceful surrender. Considering the tradition of education in Jaghori, the Taliban allowed boys to continue studying through high school, but local Mullahs had to be trained by the Taliban, the public schools had to use Taliban books, and the boys had to wear Taliban turbans. Despite the Taliban’s ban on girls’ education, in Jaghori, girls were allowed to study up to the 6th grade. We were prohibited from wearing our traditional black uniforms with a white headscarf and instead were required to use street clothes and cover our heads with long scarves. Our teachers were required to wear blue burqas. I remember one resisted, and to avoid problems, she didn’t come to school whenever the Taliban visited for periodic inspections. Our local Mullahs paid no attention to this teacher and also looked the other way when some girls continued their education in private residences. We would sneak about, in our street clothes and headscarves, avoiding public places, main roads, and suspicious glances on our way to and from “private school.” Our teachers from primary bravely arrived in their burqas to teach. We feared being caught by the Taliban and punished for clothing violations and our post-primary studies. Our fears were elevated by our parents’ discussions about the horrors of the Taliban and by our mothers and other adult women who stayed at home after the Taliban came into power, worried about being spotted in public by the Taliban, even if they were wearing the newly required blue burqa. I am extremely fortunate to have spent my childhood in a place like Jaghori where men and women value education and took risks to make sure their children are literate. Of course, had the U.S. and NATO troops not brought down the Taliban in 2001, the Taliban presence in my village would have grown much greater, and regardless of the heroic efforts of the local population, education for women would have been halted. Thankfully, it was not. The influence of the U.S. and NATO, however, has been even more wide-ranging. Because of their presence, women and girls can walk freely in my village without conforming to a Taliban, or any other, dress code. The U.S. Future Generations project funded a mosque-based literacy classes for illiterate women in Jaghori where I taught first to third grade skills, and USAID funding started a community radio station where I was not only a reporter but was the first woman reporter in the District. In 2004, Future Generation offered English and computer classes – to integrated classes of boys and girls. Among many other U.S.-related improvements, the following year, Internet access was made available to all Jaghori residents, including women, through Internet cafés at the market and hospital. Thanks to this, I was able to start a weekly educational project through SKYPE with young men and women in my village to share with them what I am learning in the U.S., and to keep me abreast of developments there. Today, I am a student at the University of Virginia. I owe my achievements both to Jaghori resistance to the Taliban and to the U.S. and NATO presence in Afghanistan, which protected my right to an education, and continues to help secure this right for all Afghan women and girls.